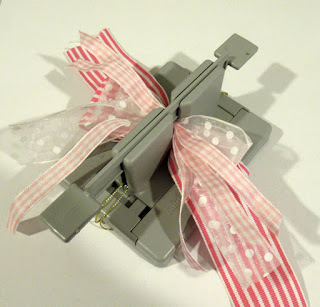 Hi everyone, I've got a new post on the Bowdabra blog today. 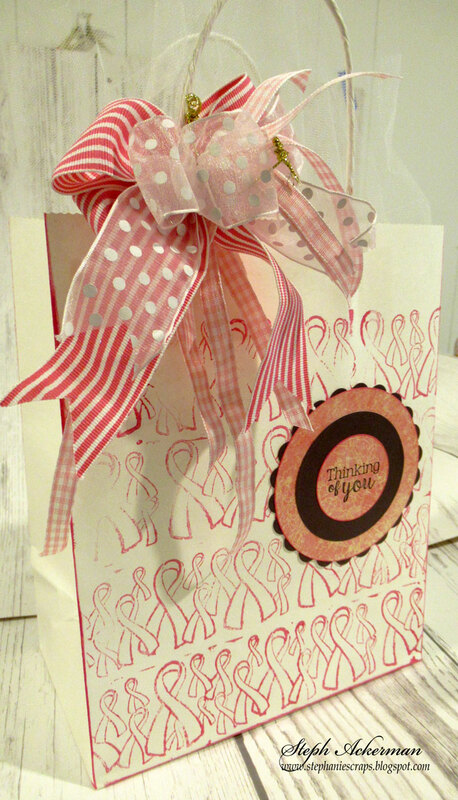 As October is Breast Cancer Awareness Month, I created a gift bag. I used a Clearsnap Rollagraph Wheel with Berry Ink to create the pattern on the gift bag. 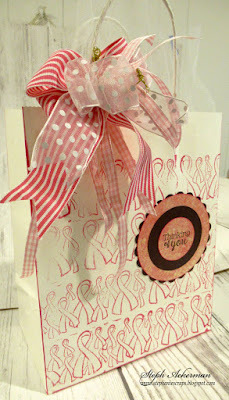 Thinking of You from Joy Clair stamps was stamped on a die cut circle what was added to a larger set of circles. 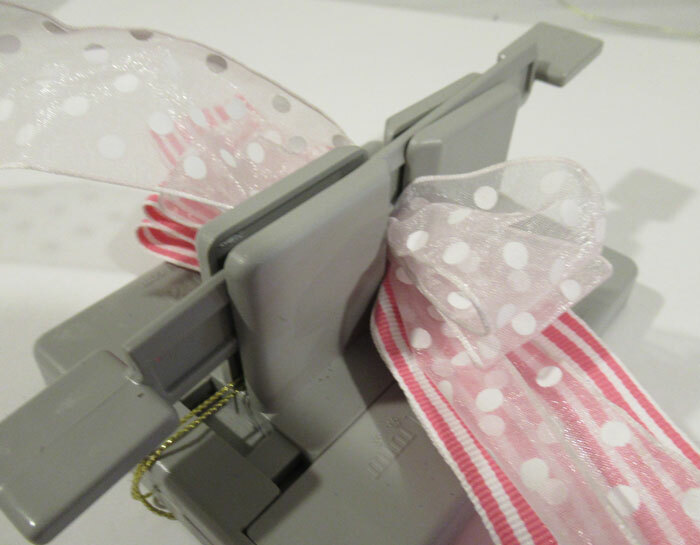 I used the Bowdabra to create the bow using lots of scraps of ribbon. 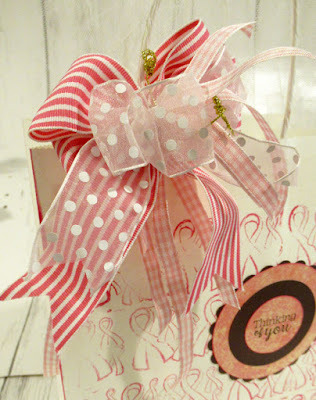 Start with a grosgrain ribbon. Add in some sheer ribbon. 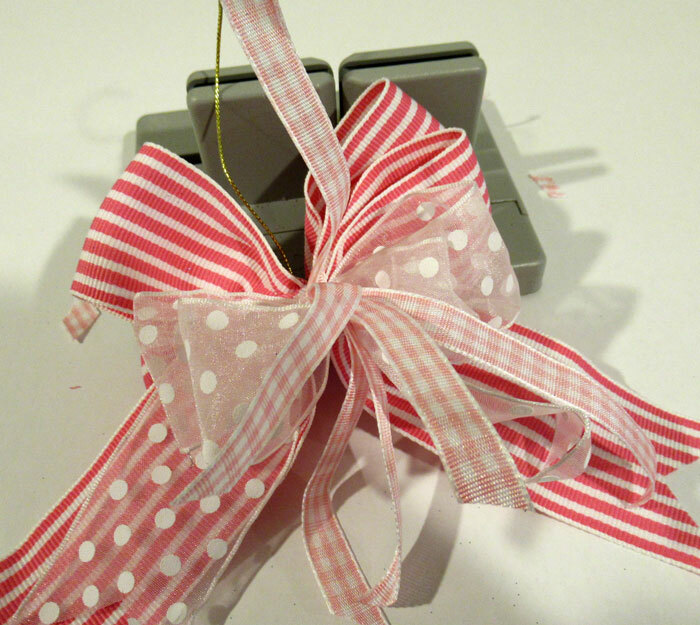 Finish with 1/4" wide strips of ribbon. 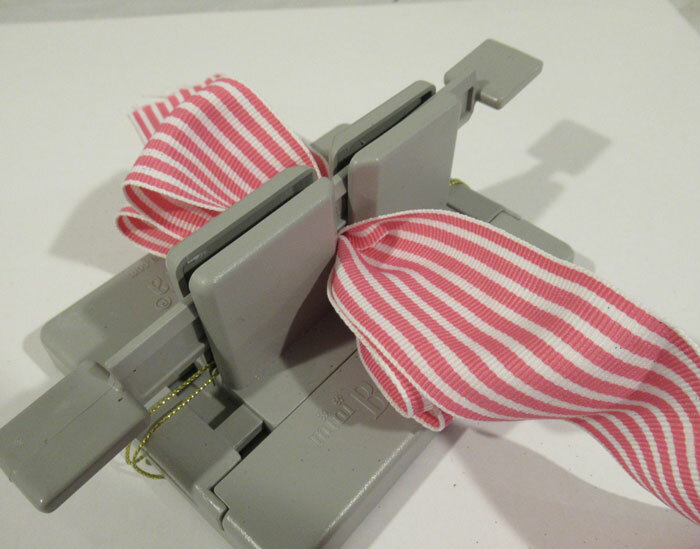 Tie off and fluff out the bow. Isn't it pretty? Tie some strips of ribbon to the handle. Use the remaining bow wire to tie the ribbon to the handles.